Swiss International Air Lines (SWISS ) now offers its travellers the option of booking a variety of destination packages to explore Switzerland’s iconic sights and cities within a couple of days. The new “Stopover Switzerland” programme is a collaboration between SWISS, Switzerland Tourism and Switzerland Travel Centre, and offers an initial range of eight different tourist packages covering all Swiss regions and with all accommodation and public transport included. 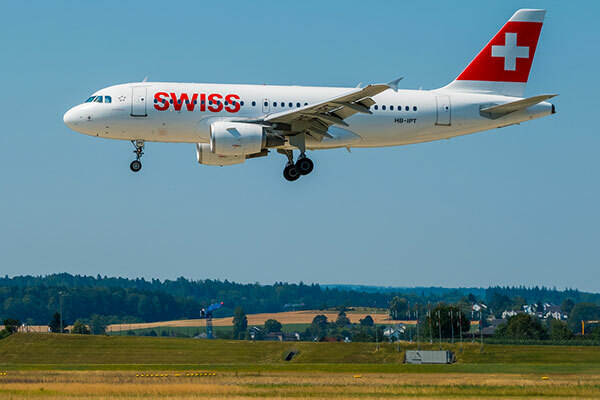 Travellers on Swiss International Air Lines (SWISS), The Airline of Switzerland, can now both get to their final destination and explore Switzerland en route. Both leisure and business travellers can extend their stopover in Switzerland by one to four nights by adding a customizable travel package under the new “Stopover Switzerland” offer, which SWISS has launched in close collaboration with Switzerland Tourism (ST) and Switzerland Travel Centre (STC). Stopover Switzerland takes full advantage of the sheer density and variety of Switzerland’s many attractions: nowhere else can visitors experience so much in so little time. And to ensure that all this “Swissness” can be enjoyed as smoothly and comfortably as possible, Stopover Switzerland offers, in collaboration with Switzerland Travel Centre, a range of eight customized single or multi-destination travel packages which all include accommodation in a three- or four-star hotel at the chosen destination plus all public transport. With the single-destination Stopover Switzerland packages, which are bookable for one to four nights, guests choose one Swiss city such as Zurich, Interlaken or Lucerne as the base for their excursions and discoveries. The package also includes tips on possible local trips and activities, to help the guest make the most of their stay. All packages also include a Swiss Travel Pass for 1st or 2nd class travel, giving unlimited rides on Switzerland’s extensive public transport system for the duration of the stopover. The multi-destination Stopover Switzerland packages, which are bookable for two to four nights, offer a fixed itinerary including transport with different locations for the overnight stays in three- or four-star hotels, as well as a flexible range of activities.. Guests can, for example, choose the “Best of Switzerland” package, which includes excursions to some of the most popular Swiss lakes and mountains.